Here at Misty Ridge we appreciate how difficult it can be to break into a new venue. We also understand the desire to improve and build on a solid foundation, to want to compete and to be competitive. 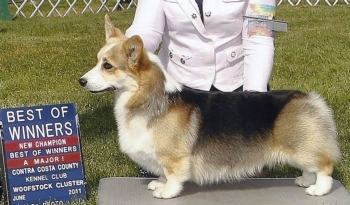 To this end, we have helped others begin their own history making steps owning and raising Corgis. Over the years, we have seen several of our dogs go into show homes and end up doing extremely well on the show circuit. In this section, we want to show off some of our “kids” who are starting out with our dogs and beginning their own breeding program. Rocky L Ranch Corgis: 2009, our litter from Rowdy (Ch. Triple H MidKnight Rumble) and Bugsy (GCH. Misty Ridge Cals Fyrebug) was exceptional. We sent the #1 male of that litter to Lisa Halop of Rocky L Ranch. 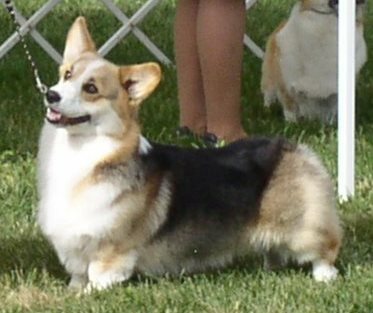 (RockyLRanch.com) Lisa has been breeding corgis for quite a while and has a well-established and excellent program. 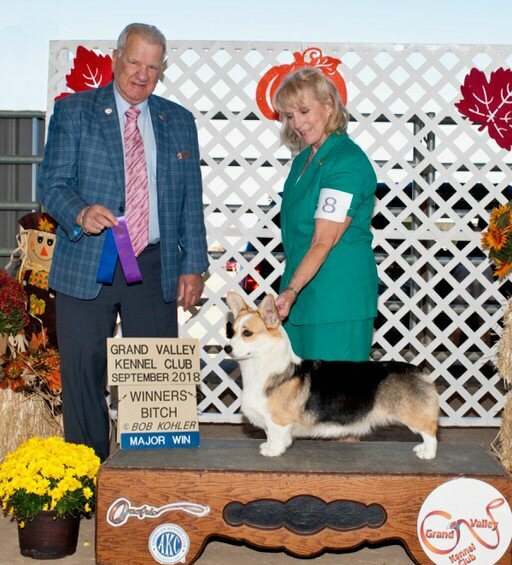 She got her first major with him from the 6 to 9 month puppy class in Tucson last fall at the Coyote Cluster. Since then, Parker has completed his championship and then went on to Agility and has several titles there. She currently is campaigning him in Agility on the West Coast. In 2014 a Parker son won a 5pt Major with a BOW at the Columbia River PWC Specialty!